June 27 (gogo.mn) ASEM preparation commission is currently registering drivers to work for the 11th Asia-Europe Meeting that will take place on July 15-16 in Ulaanbaatar. Drivers who meet requirements will be contracted to work between July 7-18. Experienced drivers are should fill out and submit necessary documents until June 30. For more information please contact ASEM working group on Transportation, Communication and Airport at 75772016-306. • The Presidents of China, Russia and Mongolia have signed off on a Trilateral Program for the development of an Economic Corridor between the three countries. This program includes the establishment of a new Northern Rail Corridor connecting China with Russia through Mongolia. • The Northern Rail Corridor is a continuous railway stretching from Tianjin Port on China's east coast through Beijing, Erlian, Ulaanbaatar, Erdenet to Ovoot, Arts Suuri to Kyzyl, connecting to the Trans Siberian Railway at Kuragino. • The Trilateral Program covers rail, roads, border controls and customs procedures and cooperation in relation to energy, tourism, environment, education, agriculture, health and sciences. • The Northern Rail Corridor is now one of four rail and two maritime economic corridors identified as part of China's One Belt One Road initiative. June 28 -- Mongolian metallurgical coal explorer and infrastructure company, Aspire Mining Limited (ASX: AKM, the Company or Aspire), is pleased to announce that at a meeting of the Presidents of China, Russia and Mongolia held on the sidelines during the Shanghai Cooperation Organisation Annual Meeting on 24 June in Tashkent Uzbekistan, a trilateral program was signed establishing, amongst other trade and cooperation initiatives, a new rail corridor between Russia and China through Mongolia. 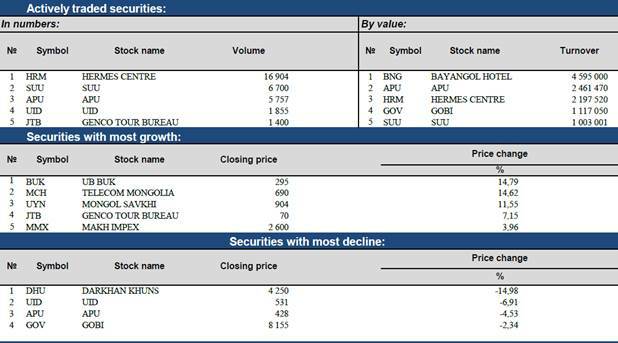 June 28 (AAStocks) MONGOLIA ENERGY (00276.HK) announced the results for the year ended March 2016. The loss was narrowed to $553 million from that of $6.868 billion loss in the year-ago period. LPS was 32 cents. No final dividend was declared. 28 June 2016, Rio Tinto -- Rio Tinto paid $4.5 billion in taxes and royalties and spent almost $18 billion buying goods and services from suppliers around the world last year, according to the company's 2015 Taxes paid report. Rio Tinto chief financial officer Chris Lynch said "Rio Tinto continues to provide a significant direct benefit to the governments and communities where we operate. The $4.5 billion we paid in taxes and royalties last year takes our total contribution to $47.3 billion since 2010." Rio Tinto has had an average corporate income tax rate of 29.9 per cent globally on underlying earnings over the past five years and its Taxes paid report has been recognised as best-practice in tax reporting and transparency for the extractives sector. Chris Lynch said "We were the first global mining house to provide comprehensive tax and economic contributions data and in this, our sixth Taxes paid report, we are publishing more detail than ever before. "We are a strong supporter of the Extractive Industries Transparency Initiative and the need for resources companies to appropriately disclose payments to governments around the world." "Debates about tax rates and contributions are best served when factual information is provided. This is what we have set out to do with our annual Taxes paid reports. The 2015 Taxes paid report also shows that Rio Tinto made a total economic contribution of almost $37 billion last year. This contribution includes payments to suppliers, taxes and royalties, salaries, dividends and re-investments. June 28 (MSE) Based on No. : 54 of the enforcement letter from state inspector of Financial Regulatory Commission dated 28 June 2016, trading of "ULAANBAATAR BUK" JSC reinstated. In the enforcement letter, decision of 100 for 1 stock split action made on "ULAANBAATAR BUK" JSC, that has total 1,315,475 outstanding shares with nominal price of MNT100.00 resulted total of 131,547,500 outstanding shares with MNT1.0 nominal price were stated. The trading of "ULAANBAATAR BUK" JSC reinstated starting from 28 June 2016 due to all related assignments were executed. 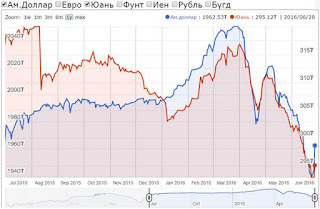 June 29 (Bank of Mongolia) Spot trade: Commercial banks bid for USD and CNY. 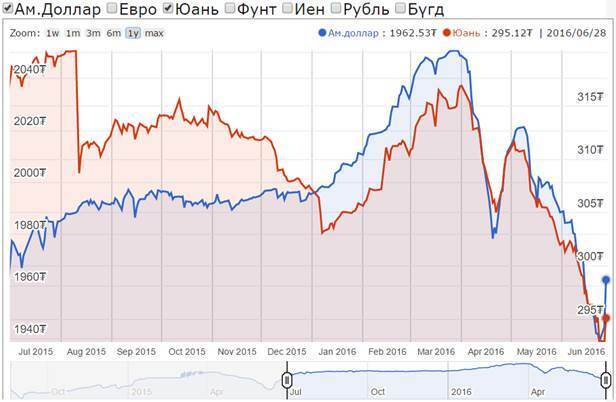 The BOM sold USD8 million at the rate of MNT1963.10 and CNY20million at the rate of MNT293.51-296.00. Swap and forward trade: Commercial banks bid for USD80.0 million of MNT swap agreement and asked for USD11 million of USD swap agreement. The BOM accepted the offers for the amount of 80 million and USD1.5 million respectively. Current account totaled to $11.0 million deficit which is 95% or $212.3 million decline compared to the same period of the previous year. The change was mainly due to increase of $169.2 million or 31% in goods account surplus, and decrease of $78.6 million or 20% in income account deficit. Capital and financial account had surplus of $226.2 million bringing the positive change of $42 million or 16% compared to the same period of the last year. Foreign direct investment funding had 8 times or $455 million increase which offset the decrease of $494.6 million in other investment funding. Ulaanbaatar, June 28 (MONTSAME) At its meeting held Monday, the cabinet adopted the 2017 budget limits for general managers of budgets in accordance with the law on budget. In compliance with the fixed limits, the general managers were tasked to work out their draft budgets for 2017. By the 2017 budget frameworks of Mongolia and the law on 2018-2019 budget assumption, an amount of the 2017 balanced revenue and expenditures of master budget is expected to be MNT 6,609.6 billion which is equivalent to 22.6% of the national GDP, while the balance of master budget is envisioned without deficit. June 23 (Oxford Business Group) Cheaper credit and signs of long-awaited movement in Mongolia's mining industry are fuelling hopes of a rebound in the country's banking sector. The outlook for Mongolia's banks has been less than favourable of late, with analysts citing both higher levels of non-performing loans (NPLs) and a fall in lending activity as cause for concern. However, newfound stability, improved business sentiment and monetary easing are all seen as key for stronger industry growth. In May ratings agency Moody's warned that some of the country's banks could face downgrades due to their high exposure to commodities, with Mongolia more affected than any other Asia-Pacific nation. In addition, the agency noted that Mongolia's banks were continuing to work through legacy assets on their balance sheets. "Pressure on the quality of commodity-related loans could be a contributing factor behind possible negative bank rating actions in Singapore, [South] Korea and Mongolia over the next 12-18 months, as reflected in our negative outlooks on many banks in these systems," Moody's said in a recent assessment of the financial sector across the Asia-Pacific region. Metals and mining, which account for 10% of all outstanding loans in the Mongolian banking system, were cited as the riskiest exposure for banks in terms of energy and other commodity loans. However, Eugene Tarzimanov, vice-president and senior credit officer at Moody's, acknowledged that most risks had already been factored in. "In general, we do not expect negative bank ratings actions related to commodity exposures, because banks in Asia Pacific have either good financial buffers, moderate commodity exposures or ratings that already capture asset quality weakness," he noted. The flow of credit in Mongolia has slowed during the last 12 months, with banks adopting a more cautious approach to lending. In mid-May the Bank of Mongolia (BOM), Mongolia's central bank, reported a 5.4% year-on-year (y-o-y) fall in outstanding loans at the end of April, with credit declining by MNT667.5bn ($337.3m) to reach MNT11.6trn ($5.86bn). Principals in arrears in April fell by 5%, or MNT47.8bn ($24.2m), on the previous month to MNT917.2bn ($464.1m). However, this was still up MNT329.5bn ($166.7m) y-o-y, or 56.1%. 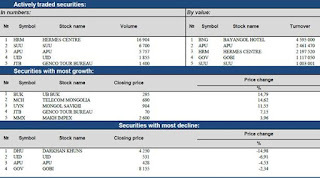 NPLs, meanwhile, have become a growing concern, as they reached MNT1.06trn ($540m) at the end of April, an increase of 42.5% y-o-y and 10% month on month (m-o-m). The upward trend took the total level of NPLs to 9.2% of the banking sector's credit portfolio, the BOM said, up by 3.1 points on the share recorded in April 2015. In a move aimed at boosting lending, the BOM cut its key policy interest rate by 1.5 percentage points to 10.5% in early May. Inflation, which reached 2.1% y-o-y at the end of April, down from 9.2% one year earlier, was a key factor in the bank's decision. The BOM said low expectations of demand-driven and supply-shock inflationary pressures, alongside a positive outlook for foreign direct investment in the medium term, had given it room to move on rates. The BOM voiced its confidence that the decision on monetary easing would "positively affect promoting monetary and credit growth, private sector investments and economic activities". Analysts will now be watching to see whether Mongolia's banks decide to expand their loan portfolios. The banking sector is further expected to benefit from signs of renewed activity in Mongolia's mining sector. In May, British-Australian mining multinational Rio Tinto announced plans to proceed with the stalled $5.3bn expansion of its Oyu Tolgoi copper mine in Mongolia's South Gobi desert. The news was welcomed by both government and business leaders. "Given the current situation, any news regarding progress of Oyu Tolgoi, Mongolia's landmark project, is good news for the economy," Chuluun Mergen, executive director of the Business Council of Mongolia, told media in May. Similarly, Prime Minister Ch. Saikhanbileg said the approval of the project demonstrated that Mongolia was "back to business" after being affected by the commodities downturn. Ulaanbaatar, June 27 (MONTSAME) With more than 63,000 predominantly small-scale vegetable growers throughout Mongolia, the vegetable sector has become vital in poverty alleviation and as a source of healthy food for an increasingly urbanized population. The Swiss Agency for Development and Cooperation (SDC) believes that providing support for increased and diversified production, storage, processing, marketing and consumption, as well as a conducive legal framework, will benefit both rural households' livelihoods and the national economy. SDC's new Inclusive and Sustainable Vegetable Production and Marketing Project, launched in April 2016, will work with vegetable farmers mainly in the central region of Mongolia including the suburbs of Ulaanbaatar city, providing them with greater knowledge and higher-quality seeds through collaboration with national agricultural institutions and the Ministry of Food and Agriculture. June 26 (UB Post) As a result of a series of studies done on development of countries around the world, it has been established that the development of a nation depends more on political and economic institutions rather than factors such as geographical location, weather, history, culture, tradition, religion, or education. Professor Daron Acemoglu from the Massachusetts Institute of Technology in the USA and James Robinson from Harvard University based their book "Why Nations Fail" on these development studies. The book won many awards, and millions of copies were published. It has also been translated into Mongolian. Professor James Robinson recently visited Mongolia and gave lectures, where I had the opportunity to moderate. They defined "institution" as a set of rules that determine individual behavior in economic and political setting. In terms of scale, political and economic institutions are divided into two groups: inclusive, which serves the public, and extractive, which serves a minority. Let us have a look at the example of two Koreas. Korea was divided 60 years ago. As a consequence of which, South Korea selected the path of capitalism, whereas North Korea chose to follow socialism. Currently, South Korea has a GDP forty times higher and GDP per capita 20 times larger than North Korea's. A satellite image from NASA showed that North Korea had only one city – Pyongyang – shining bright in the night sky while almost all cities in South Korea were lit up. The same contrast can be observed between the economy, freedom, and livelihood of the two countries. Professors Acemoglu and Robinson explained this difference with the type of institutions they have – inclusive and extractive. Inclusive political institutions allow political power to be distributed across the society, diversity to prosper, civil society to provide supervision on public governance, and local authorities to have decision making power. In contrast, extractive political institutions centralize power among a handful of people, not allowing the people to exercise scrutiny on the government, and have local communities that are not able to decide for themselves. Inclusive economic institutions ensure that property relations are well regulated, rule of law is deeply seated in the governance, business principles apply to everyone equally, and economic policy prioritizes the common good. In this setting, investment is focused on industries that are significant to economic development, such as education and health. When economic institutions serve the interests of a few people, the property rights are unclear, and unlawful governance dominates. Their vague business regulations are not made for the public, and give advantage only to the powerful elite. It does not allow people to choose what they want to do while the government is incapable of working for the common good. Despite walking on the same path as North Korea for 70 years, Mongolia adopted the same way forward as South Korea in 1990. Today our people are striving to make our political and economic institutions inclusive. However, this aspiration of ours has repeatedly faced significant challenges. Mongolian political institutions today have become very good at pretending to serve the public. In reality, they have been serving specific groups, namely political parties and their senior leadership. The latest example is the fact that authorities changed the election laws a month before the elections so that the new law gives them advantages. Then the government issued the state-owned Erdenes Tavan Tolgoi's shares on behalf of the company, bought non-existing shares with non-existing money using loans, and is distributing cash to people ahead of the elections. When political institutions serve a minority, economic institutions are less likely to serve the public. Therefore, Mongolia's private sector has seen fair competition diminishing, and has become increasingly interested in obtaining soft loans from the government or getting a piece of the pie from the bond money. When economic institutions serve the public, there is an increased desire to do business, and it – in turn – creates more opportunities. When property rights are protected, people have more interest in investing, and place their capital efficiently. It encourages new players to come into the market, and allows companies to raise funding. Furthermore, when the free market economy is in full motion, the return on education increases, and economic inclusion improves. Unfortunately, this process has clearly slowed down in Mongolia as government involvement in economy expands. Our external and internal debts are rapidly increasing. Under these conditions, only a specific group is seeing their businesses flourish while the room for fair competition shrinks and the imminent economic crises comes knocking on the front door repeatedly. When a country has inclusive economic and political institutions, economic competition rises, and new technology and initiatives are brought in. It – as coined by Australian economist Schumpeter – is referred to as "creative destruction" because the arrival of new technology can essentially bring down an entire industry if the older methods cannot keep up or adapt. It results in redistribution of resources. The few handfuls that hold a monopoly never wants such drastic change to take place, which halts the economic growth. Under these circumstances, talent, creativity, and new ideas are not valued. When institutions serve specific groups, it allows only one group of people to take advantage over others. In contrast, a fully effective democracy that encourages diversity has no choice but to follow the rule of law. Mongolia still lacks inclusive political and economic institutions that serve everyone equally. June 29 (Blooomberg) High unemployment, weak foreign investment and mounting debt are among the challenges awaiting the winner of Mongolia's first legislative elections since the global collapse in commodity prices ravaged the country's economy. While almost 500 candidates are vying for 76 seats on the country's Great Hural on Wednesday, the race has been a two-way contest between the ruling Democratic Party and the opposition Mongolian People's Party, which ran country during its communist era. The campaign has seen the government promote accomplishments such as a nationwide road-building program, while the MPP accuses it jeopardizing the country's mineral wealth by piling on debt. Once hailed as Asia's "wolf economy," Mongolia has fallen on hard times as China's slowdown dampens demand for its copper ore and sluggish global growth keeps commodity prices at 15-year lows. Unemployment surged more than four percentage points year on year to 11.6 percent in March. The currency, the tugrik, has lost about a third of its value since the last election four years ago. The slowdown has taken its toll on the public finances as revenue falls and the DP plows ahead plans to expand infrastructure in one of the world's most sparsely populated countries, with 3 million people spread across an area almost the size of Alaska. The World Bank last month recommended spending controls to maintain fiscal stability after lower earnings from mining exports caused budget revenue collections to fall 11 percent year on year in the first three months of the year. MPP Secretary Bulgantuya Khurelbaatar said the opposition party wouldn't increase debt to cover existing repayments, but austerity could be in the cards. An International Monetary Fund package would only be considered as a "last resort," she said. "Whoever wins will have a lot of mess to clean up," said Bulgantuya, a graduate of Yale University and former employee of the Oyu Tolgoi copper mine. "Two years will probably be spent just rebuilding the economy, rebuilding trust of investors, both foreign and Mongolian." Despite such debates, this year's elections have been quieter than previous ones. New laws limiting the campaigns to just 17 days and putting more rigorous standards on candidate registration made it difficult for smaller groups to challenge the two main parties. New rules also prevented parties from promising post-election cash handouts. Instead, the DP government offered earlier this month to buy back shares of state-owned coal miner Tavan Tolgoi that had been allocated to citizens in 2011. The program amounted to about $150 per shareholder, with 1.2 million applying as of Tuesday. The government sold $1.5 billion worth of sovereign debt known as Chinggis bonds in 2012 to help double the amount of paved roads, reducing traffic in the capital and increasing access to distant provinces. Additional loans, currency swaps and bonds have followed, swelling the country's public and private debt profile to $22.6 billion from $11.7 billion when the DP took office, according to the Bank of Mongolia. Prime Minister Saikhanbileg Chimed has described Mongolia's debt-to-gross-domestic-product ratio of 52.3 percent as sustainable. And his fellow DP lawmaker, Oyungerel Tsedevdamba, accused opposition parties of "playing the debt card." "They are threatening people that everything is falling down and the country is falling apart and everyone is born with huge debts," she said while campaigning in the northern province of Khovsgol. "They are bringing fear because people are insecure." There's little polling available to help gauge the outcome. An April poll by the Sant Maral Foundation gave the MPP a 6.6 percentage lead over DP, with the Mongolian People's Revolutionary Party as a distant third. As government debt rises, foreign direct investment has collapsed, falling to $121.5 million last year, from $4.45 billion in 2012. Investment was dragged down after a dispute between the government and Rio Tinto Group, which controls 66 percent of the Oyu Tolgoi mine, the country's biggest taxpayer. The disagreement was resolved last year with a $4.4 billion financing deal to fund an expansion of the mine, but only after Saikhanbileg's predecessor was ousted in a vote of no-confidence. Any positive effects won't be felt until well after the ballots are cast. "FDI is picking up compared to last year, and I think the economy is ready to bottom out," World Bank Senior Economist Taehyun Lee said. "Depending on what happens in the next half, Mongolia can benefit from the positive momentum." ULAANBAATAR, June 27 (Reuters) Mongolia will elect a new parliament this week hoping it can reverse four straight years of slowing growth, against a backdrop of concerns about an erosion of democratic values in a country sandwiched between autocratic China and Russia. With just three million people, this remote land, best known as the birthplace of the Mongol emperor Genghis Khan, has stood as an oasis of democracy, surrounded by single-party dominated regimes. Mongolia's political transformation since a peaceful revolution in 1990 has been a big plus for foreign investors eyeing up its rich mineral resources. But an abrupt economic slowdown since 2012 has stirred controversy over the role played by international mining firms like Rio Tinto, which last month finally approved a $5.3 billion Oyu Tolgoi copper mine extension plan, having settled a long dispute with the government a year ago. The mining slump was still likely to cost the ruling Democratic Party seats in Wednesday's election, according to opinion polls. "The Democratic Party is 100 percent guilty for the economy's collapse. The lives of citizens have deteriorated so much," said Darjaa Sovood, leading a small demonstration against the Democratic Party in front of Mongolia's parliament house on Sunday. The resource-rich country, nicknamed "Mine-golia" during the boom years, has struggled to adapt to a changing environment where China has tempered its appetite for coal and copper and commodities are no longer valued as highly. Economic growth has fallen from 17.5 percent in 2011, the year before the Democratic Party took power, to the IMF's projected 0.4 percent for this year. While the presidency is not at stake in Wednesday's election, protester Sovood blamed President Tsakhia Elbegdorj, of the Democratic Party, for misleading voters. The Democratic Party had promised to spread wealth from the country's resource boom to improve lives, but investors pulled out and the economy tanked. "After Elbegdorj was elected, he didn't keep his promises. What he did was exactly the opposite of what he promised," Sovood said. Elbegdorj, who was also prime minister in 1998 and from 2004-06, is expected to retire from politics when his final term ends next year. There has been no mention of current Prime Minister Chimed Saikhanbileg seeking the presidency. Whether the opposition Mongolian People's Party (MPP) can take advantage is unclear, but following a recent fundamental change to the character of Mongolia's democracy, the election has become much more of a two-horse race. On May 5, parliament amended the election law to remove a clause first introduced in 2012 that allocated 28 of the 76 seats in the legislature, known as the Grand Khural, according to parties' shares of the vote. Dambadarjaa Jargal, an economist and television presenter, said candidates from smaller parties were being marginalized, especially as campaigning was only allowed to begin by law 18 days ahead of the election. "It's hard for them to be known. Television is very regulated and you can't speak with a candidate for more than 15 minutes," he told Reuters. ULAANBAATAR, Mongolia, June 28 (AP) — Mongolians vote in parliamentary elections Wednesday with sentiment weighed by a sharp downturn in the landlocked Asian nation's crucial mining sector, rising unemployment and political disillusionment. The Democratic Party could lose its majority in parliament, known as the State Great Khural, to the opposition Mongolian People's Party a year ahead of the 2017 presidential election. But with no major policy offerings on the table and an economy pummeled by the global slump in commodity prices, it's unclear what options Mongolia has for reviving its fortunes. The parliamentary elections are the seventh since the country made a peaceful transition to democracy in 1990. Yet disillusionment with the political process in the country — recently dubbed "an oasis of democracy" by U.S. Secretary of State John Kerry — is growing among younger voters, whose turnout has steadily declined in recent years. Amgalan Sukh-Ochir, 30, who works in marketing, said he plans to boycott the elections. "In the last elections when the DP made all these great promises for prospering, I decided to support them, but look where we are now. I don't think they've achieved much," he said. Mongolia's mining- and animal herding-dependent economy has been dragged down by weak domestic demand and a sharp decline in exports, impoverishing thousands of former herders who had moved to its few cities looking for jobs. Economic growth has slipped from 17.5 percent in 2011 to just 2.3 percent last year in the resource-rich nation of 3 million people, one-fifth of whom live in poverty. Both the ruling Democratic Party and its main rival have campaigned on the promise of more jobs. "The main issue is, No. 1, to revive the economy," said Bulgantuya Khurelbaatar, secretary of the opposition Mongolian People's Party. She said the party aims to build 100 factories in 21 provinces that would create about 40,000 new jobs, though she didn't say how. It's unclear what measures or resources are available to stimulate the flagging economy. Coal, copper and other mineral resources make up 94 percent of Mongolia's exports. But with demand in China weakening as its economy cools, Mongolia's own growth is forecast to fall below 1 percent this year. Foreign investment in the country has slowed to a trickle, though mining giant Rio Tinto announced in May the launch of the next stage of a multibillion-dollar gold and copper mine. Still, critics of government agreements with mining companies complain that too little of Mongolia's mineral wealth benefits the general public. Some observers see recent changes to the electoral process as handicapping smaller parties and female candidates. "They have closed some space for smaller political parties, as majoritarian systems do tend to benefit two main political parties," said Ashleigh Whelan, country director for the International Republican Institute, a U.S.-based group with the stated aim of promoting democracy globally. "This can reduce the opportunity for lesser-known candidates, new candidates, youth, women and those candidates who may not be a guarantee in terms of winning," Whelan said. Her organization does not expect either party to secure an overwhelming majority. In its latest National Human Development Report, the United Nations Development Program found that only about 45 percent of Mongolians aged 18-34 have voted in recent elections, compared to an overall turnout of 65 percent in 2012. Skepticism has grown after the ruling party recently offered citizens 300,000 tugriks ($155) to sell 30 percent of their promised shares in the state-owned coal mine, Erdenes Tavan Tolgoi. So far 1.2 million of 1.65 million shareholders have applied to sell their shares to the government. "I think it's illegal to tell you the truth," said Khurelbaatar of the opposition party. "This is right before elections . it seems to all political parties that they're actually trying to buy off votes." The Democratic Party did not respond to requests for comment. Ulaanbaatar, June 28 (Reuters) In a stretch of open grassland surrounded by yurts, some of the thousands of Mongolians headbanging to the likes of heavy metal band "Purgatory Destroyers" at the country's biggest music festival were thinking about politics as much as partying. Many young Mongolians, not much older than the wind-swept, land-locked democracy squeezed between autocratic China and Russia, are disillusioned with the slow economy and established political parties, and could play a decisive role in parliamentary elections on Wednesday. More than half of Mongolia's three million people are under 30 and grew up during a time of rapid change following a peaceful political revolution in 1990 that saw the Soviet system replaced by democracy and the influx of influences from Hollywood, hip hop and heavy metal. "The quality of politicians is, I think, very bad," said Khishigdelger, a festivalgoer at the Playtime Music Festival. "So Mongolians need to do something different." Turnout at the polls is expected to be at an all-time low, amid widespread perceptions that the older generation has hung on to power to further its own interest at a cost to the rest of the country. The resource-rich country has struggled to adapt as the market for coal and copper slumped on weaker demand from China, and some blame officials for creating mining disputes. "Maybe that older generation should just die off," says Umbanyamba Unenkhuu, who is running for office as a member of the National Labour Party. Sporting a beard and tattoos, Unenkhuu, 36, said he had taken time off from organising heavy metal concerts and playing in a band to pursue elected office. "You know some of those members of parliament, they've been in office for at least like the last four terms, right? And I mean what has changed? Nothing," the rocker-turned-candidate said. "I think they should all step down and give way for the new generation." Unenkhuu acknowledges he will be in a tough race as he faces off against the two largest parties - the Democratic Party and the main opposition Mongolian People's Party (MPP). Polls suggest that voters, fed up from four straight years of slowing growth under the Democratic Party, are likely to award more seats to the MPP, which ruled Mongolia when it was a socialist one-party state and has held power most often since democratic reforms in 1990. June 28 (AFP) Mongolian pop singer and single mother Nara swapped her trademark miniskirt for a traditional "deel" to campaign in tented slums for a seat in parliament, but would-be female parliamentarians face an uphill challenge as the country goes to the polls Wednesday. Best known for her hit single "Discovering Myself", she has 175,000 Facebook fans and has used social media to highlight her experiences of domestic violence. But she has faced an onslaught of gender-related insults during her campaign, with one video posted online pillorying her for working as a "hostess" at a bar in Japan. "I am frustrated about why we can't improve our health care, why can only rich people go abroad and be treated," she said. "My competitors try to slander me based on who I was and how I acted." In some areas Mongolia is unusually progressive -- more than two-thirds of the country's higher degrees go to women, according to the ministry of human development and social welfare. The education gap starts at a young age, with rural families sending school-aged girls to towns for schooling while boys are kept at home to help with herding livestock. But conservative attitudes endure and discrimination is still rife, with women's wages on average 19 percent lower than men's, according to a survey by Mongolia's National University. Women have been swept to power in recent years across Asia, most recently in Taiwan where Tsai Ing-wen was elected president in January. Park Geun-Hye, daughter of a former dictator, has led South Korea since 2013 and Yingluck Shinawatra was prime minister of Thailand from 2011 to 2014. In the last election, Mongolia had a quota requiring 30 percent of candidates to be female, which saw 11 women elected to the State Great Hural out of 76 seats. Female lawmakers have been credited with pushing forward legislation which improved women's lives, including increased punishments for domestic violence and more childcare centres, helping mothers enter the workforce. "Problems that usually affect women such as kindergarten and other social issues cannot be solved without women," said Luvsangiin Erdenechimeg, head of the women's caucus in parliament. "We solved a number of important legal issues that were never allowed in the previous parliaments where only men were members," she told AFP. She is standing for a second term with the ruling Democratic party, but with the female candidate quota cut to 20 percent this year, she says that there is "no will" to bring women into political leadership. The rule change "reveals that the majority (men) don't want to share power with women", Zolzaya Batkhuyag, director at advocacy group Women for Change, told AFP. Some women are campaigning on issues beyond gender, in a country whose rich resources have yet to fulfil its people's hopes for higher living standards. Baatarjaviin Munkhsoyol, an independent female candidate pursuing a doctorate at university in Canada, is standing on a business-friendly, pro-investment platform. "The situation could have been better this time if there were smarter policies," she said. Ordinary Mongolian women point to their power in the home as a sign of their potential on the national stage. "I think women can be involved in the political leadership," said Buyantogtokhiin Tserendulam, a 35-year-old voter. "In Mongolia it's common that women make decisions at the family level." By Boldsaikhan Sambuu, graduate student in the School of Political Science & Economics at Waseda University in Tokyo. June 28 (The Washington Post) On June 29, Mongolians will head to the polls to elect the 76 members of the State Great Khural, Mongolia's parliament. What's at stake for Mongolia's democracy? During his recent visit to Mongolia, Secretary of State John F. Kerry described the country as an oasis of democracy. Political scientists call Mongolia a "deviant democracy," one that defies most of what we know about the emergence and survival of democracy. A developing country and former Soviet satellite, Mongolia lies between Russia and China. Since its transition from communism in 1990, economic growth has been fleeting. Yet democracy has survived. Ahead of Mongolia's parliamentary elections, here's what you should know. Among 12 parties competing this year, recent opinion surveys indicate a virtual tie between the ruling Democratic Party (DP) and its main opposition, the Mongolian People's Party (MPP). The Mongolian People's Revolutionary Party (MPRP), created in 2012 by a breakaway MPP faction, is in distant third. This year's election is unusual in that a record number of independents — 69 — are running for office. Some independents are celebrity candidates — singers and wrestlers and the like — while several others belong to a newly created labor party that the electoral commissioner has refused to register. Turnout has declined from 98 percent in 1992 to 65 percent in 2012, and is expected to be even lower in this election. Free and fair elections are the "only game in town," but the rules of the game change frequently in Mongolia. After experimenting with a variety of electoral systems in the past, Mongolia settled on a mixed majoritarian–proportional system (described in detail below) before the 2012 elections. The party list system benefited the MPRP at the expense of MPP, helping it secure 11 seats in the legislature, which was the best performance for any third party in Mongolia's democratic history. The gender quota instituted in 2012 was effective as 11 women were elected to parliament, the highest ever in Mongolia's democratic history. With little debate, MPs from the two major parties hastily approved the court's decision and passed a new election law, according to which the upcoming elections will use simple plurality vote in 76 mini districts. The 30 percent quota for women was reduced to 20 percent. The PR seats were tossed out. Why did the recent move back to a pure majoritarian electoral system receive bipartisan support? One can only presume that politicians from both major parties were keen to drop the party list vote because they are well aware of voters' growing disappointment with them. Incumbent politicians must be counting on the reformed, candidate-centric electoral system to help them to compete locally based on their own standings in their districts rather than relying on their parties' national reputations to give them a parliamentary victory. Under the new rules, this year's election will, in effect, be 76 mini elections. The big question for Mongolian democracy is whether the MPRP, other small parties, or any of the independents will come out of this election as viable alternatives to Mongolia's established but unpopular two-party system. June 28 (Committee to Protect Journalists) During a visit to Mongolia this month, U.S. Secretary of State John Kerry hailed the country as "an oasis of democracy." Mongolia, sandwiched between powerful autocratic neighbors Russia and China, underwent democratic transition in 1990 when it broke away from Soviet rule, and has since held several elections characterized by the Asia Foundation as "reasonably free and fair." The next exercise in democracy will be the parliamentary election Wednesday. The 1990 revolution also ushered in an era of flourishing media. Despite having a population of just three million, Mongolia boasts over 400 media outlets, according to the Press Institute of Mongolia, with most of them founded in the past decade, according to the Los Angeles Times. Unlike in its neighbors, where the press is seriously restricted and there is a record of violence against journalists--as in Russia--or mass jailings--as in China--CPJ has documented no instance of journalists killed or jailed in Mongolia in recent years. However, the abundance of media outlets and the absence of serious persecution of journalists do not necessarily translate into press freedom. Legal harassment, political interference, and self-censorship impede the development of an independent and professional press in Mongolia. Furthermore, according to Mongolian journalists and a media trainer who shared their experiences with CPJ, the election--regardless of who wins--is unlikely to bring significant changes to the press environment, as past elections have indicated. But progress can be made through journalists' own collective actions, they said. On the night of May 25, several hours before L. Bayasgalan, known as L. Munkhbayasgalan, host of TV show "Discussions without Censorship" was set to fly to Washington D.C. where she said she planned to meet with representatives of the International Consortium of Investigative Journalists (ICIJ) to discuss possible cooperation opportunities on the Panama Papers, Mongolian police summoned her and told her she was barred from leaving the country because she was under criminal investigation. The police accused Bayasgalan of fraud for failing to fulfill an advertising contract she signed with the state-owned Mongolian Airlines (MIAT) in 2013. Bayasgalan said that she committed no fraud and questioned the motivation behind the criminal investigation. "Why are the police only picking my case? Why are they investigating this exactly now, while no questions were asked before?" Mongolian police did not respond to CPJ's request for comment regarding the alleged travel ban. Bayasgalan said she has been under political pressure her entire journalism career. "The pressure has been there for 20 years--whether it is when the [ruling] Democratic Party is in power or when it is the Mongolian People's Party." She said that on May 9, she interviewed a prominent Mongolian artist, who was critical of the current government, but the episode was never aired because a government official called the broadcaster, C1 Television, and threatened to revoke its license if the show aired. Bayasgalan showed CPJ a photo on her cell phone of her interviewing the artist. C1 Television did not respond to CPJ's text messages and an email seeking comment. Another journalist told CPJ he suffered repercussions for interviewing the "wrong" person. TV show host D. Jargalsaikhan, known as Jargal De Facto, said his show on the public Mongolian National Broadcaster (MNB) was cancelled after he interviewed J. Amarsanaa, the ousted head of the Constitutional Court, Mongolia's highest court. Less than a week after the parliament voted to dismiss Amarsanaa from the court, on February 22, Amarsanaa appeared on Jargalsaikhan's live show to give his account of the dismissal and voice his displeasure with the parliament's decision. Jargalsaikhan said the day after the show was aired, MNB told him that the channel would no longer work with him. "I asked why, they said 'because [the episode] is not in line with the policy of public TV.' And I said 'it is exactly in line because the Mongolian public has the right to understand what has happened exactly,'" Jargalsaikhan told CPJ. MNB did not respond to CPJ's text messages and an email seeking comment. Jargalsaikhan said Mongolian public broadcasters lack independence, as ruling politicians appoint loyal personnel to key positions. "It doesn't matter which political party, it doesn't matter who is taking power in this country, they change the leadership of public TV and public radio every time," said Jargalsaikhan. His assertion is backed up by a 2012 report by the German political foundation Friedrich-Ebert-Stiftung, which states, "However, the appointment process for the governing body of the [MNB] is heavily influenced by political considerations and power relations and strong control over its editorial operations by the ruling parties is evident." Lkhagva Erdene, executive producer of news at the privately owned TV channel Mongol TV, said that one way for the government to pressure independent news media is to limit their access to the government. "Usually how they censor us is to bar us from entering the government compound so we can't cover parliamentary activities or high level visits by presidents and prime ministers," Lkhagva told CPJ. Lkhagva said that Mongol TV's broadcasting signals have been cut several times, with the most recent incident occurring on Monday, but he has no evidence that government interference was the cause. "When we told the public at 9 p.m. we were going to reveal some of the offshore accounts of the mayors, our signal was also cut by a small cable company. But when we asked the cable company what happened to our broadcast signals, they said 'oh, there were some technical difficulties.'" He noted that cable operators' licenses are also subject to government approvals. "Cable companies are afraid of media commissioners," Lkhagva said. Another threat to journalists' independence in Mongolia, according to journalists with whom CPJ spoke, is the prevalence of politicians directly owning news outlets. "The vast majority of Mongolian media outlets are owned by prominent politicians and businesspeople--for journalists, this means that the line between vested interests, and editorial independence, is exceptionally thin," Lisa Gardner, an Australian journalist who trained in 2013 and 2014 the staff of the UB Post, Mongolia's leading English newspaper. Said Lkhagva, "The politicians do whatever they want with their media and they certainly all have an agenda." Jargalsaikhan lamented that journalists have no choice but to self-censor: "For example, TV 9 is owned by former President [Nambar] Enkhbayar. Now his party is running for election. His station is only praising him." Jargalsaikhan added: "Many journalists are completely dependent on their owner. They just keep silent because they don't want to lose their jobs. They have families to take care of. It's hard for young journalists." TV9 did not respond to CPJ's text and Facebook messages requesting comment. Still, moves have been made in a positive direction, according to Gardner. The long-fought Law on Information Transparency and Right to Information, which provides legal protection for the right to information, was passed in 2011 and there have been efforts in recent years toward raising awareness of this law in remote areas, she said. In early 2015, the Media Ethics Council, a gathering of prominent journalists, was established to determine a code of ethics by which Mongolian journalists would regulate themselves. "While these initial efforts are only now getting underway, it is exciting to see this kind of grassroots initiative take place, particularly across news outlets," Gardner said. Lkhagva said, "The change has to come from within the media sector. We can complain about the government, but the government can't improve the media literacy of all the public. The government can't create agencies like The New York Times, BBC. It has to be built by honest and hardworking journalists." June 27 (Barron's) It sounds familiar: an incumbent party is expected to lose by a narrow margin in Mongolia elections Wednesday. "Beyond this, mining projects will remain very front and center on the agenda for the next parliament. Neither the MPP nor DP party will try to interfere with the Oyu Tolgoi (OT) [copper] project at this time, particularly not now that the $5.3 billion phase 2 agreement was finalized with Rio Tinto (RIO) last month. There is more risk and greater unpredictability associated with the elections for the long-delayed Tavan Tolgoi (TT) coal project. MPP will prioritize projects that can help the government earn much-needed hard currency, and views TT as such. An MPP majority-led parliament will likely move forward with TT. The risk to the project is an election outcome that results in evenly-matched DP-MPP representation in parliament. Under this scenario, TT approval will be a troublesome and protracted process, involving a great deal of cross-party debate and calls by DP to increase the state's holding in the project to a majority 51% through state mining company Erdenes Tavan Tolgoi …"
Rio shares were down 3% in recent trading, while BHP Billiton (BHP), Vale (VALE) and Freeport-McMoRan (FCX) shares were each down about 5%. June 27 (Mongolia Focus) Whether or not we'll see a result already in the night of June 29/30 will depend a bit on how many close races there will be and whether any constituencies will come close to the minimum 50% participation required. Just because votes are counter electronically, don't expect instant results. Having been in a vote count in Mongolia before, I know that even after the polling station closes, there will be some delays in terms of preparation for the count, especially in the urban polling stations where there will be many domestic and party election monitors who will be filming, recording, and closely examining every step of the process. Then there are some delays in the votes getting communicated to district/provincial election commission and from there to the General Election Commission. While some results will come more quickly (perhaps around midnight or even a bit before) it may well be that other constituencies won't report until the early morning hours. If the result is very close, that might mean, of course, that exact numbers of MPs won't even be known until some days later (manual recounts, etc.). In the last couple of days before polling day, many of my interlocutors have spoken about the resignation and frustration, especially among younger, urban, professional voters. I was expecting as much when I wrote about my fears regarding any protests after the election. One early sign of whether this frustration is limited to the fairly small demographic of my contacts will be voter turnout. In 2012, 65% of 1,833,000 voters participated. 1,856,000 voters were registered for the presidential election in 2013 of whom 67% participated. In this election, just over 2mio voters have been registered. Over the last three elections, turnout in parliamentary elections has declined significantly. 2004 82%, 2008 74%, 2012 65%. Obviously, it would be silly to extrapolate from these declines, but given the current mood, I do expect a further drop in turn-out on the scale of these previous declines. That might bring the rate to under 60% which raises the spectre of some constituencies not reaching the 50% quorum. I would interpret turnout under 60% as a clear sign of frustration with the choices offered in this election, including the lack of choices beyond the two large parties given theexclusion of smaller parties through changes in the election law. Voter turnout below 58% I would see as a sign of serious trouble for the election itself, but more importantly for democracy, given the frustrations that Mongolians have expressed with political institutions in polls. I will be surprised if any non-incumbent independents manage to win a seat. I would also interpret this primarily as a sign of frustration with MANAN (as MPP [MAH] and DP [AH] are referred to in combination). One of the changes that came late in the revisions of the electoral system (and was not mandated by a court decision), was a reduction of the women candidate quota from 30% – 20%. With this, the two big parties ended up right where the quota required them, i.e. with 16 female candidates. Of the total 498 candidates 129 are women, or 26%. There are 27 constituencies that don't have a single female candidate. Given these numbers, it seems unlikely that the next State Great Khural will include more women than the last one and an actual decline in the number doesn't seem out of the question. If there's no increase in women's representation (or possibly even some loss of numbers), that would be especially unfortunate, as the non-partisan Women's Caucus has been fairly active and effective during the past four years. June 27 (news.mn) Many Mongolian voters will be unable to cast their votes at the polling stations on Wednesday 29th, due to infirmity or other reasons. For this reason, their votes will be collected in portable ballot boxes which will be taken around tomorrow, June 28th. According to the presidential election law of Mongolia, voters who are housebound, under detention or serving time in prison, can cast their votes in the portable boxes. The portable ballot box operation will last from 09.00-20.00. With just two days remaining until the election on June 29th the campaigning is underway and the fight is really heating up. Today (27th June) is the last day of election campaigning. June 28 (gogo.mn) Let's take a look at previous statistics of Mongolia's parliamentary elections. It is the 7th democratic, general election which will be held tomorrow, June 29.
international organizations. 20 journalists from foreign media and 413 correspondents from 51 domestic media organizations have been accredited to cover the upcoming parliamentary and local elections in Mongolia. In order to hold both elections at the same time, 22 election committees have been established in Ulaanbaatar and in provinces and 339 election committees in soums and districts. More than 20 000 public servants are deployed at the election committees. In order to provide all possibilities for people with disabilities to exercise their suffrage rights, special entrances have been prepared for them and voting ballots printed in Braille are available for visually impaired. Ulaanbaatar, June 28 (MONTSAME) Head of the General Election Commission (GEC) Ch.Sodnomtseren received Monday N.V.Levichev, a member of the Central Election Commission (CEC) of the Russian Federation, who is visiting here to observe the 2016 parliamentary election and its preparations. Noting that the election commissions of the countries have been expanding their relations and cooperation since the establishment of a cooperation memorandum, Ch.Sodnomtseren pointed out the collaboration could broaden further. Representatives of the election authorities of the countries have been visiting each other to observe elections in all levels, the GEC head said, and expressed the willingness to send observers to the upcoming elections of the Russian State Duma to be held on September 18, 2016. In turn, Levichev conveyed to the GEC head greetings of the Russian CEC chairwoman E.A.Panfilova, and then said an invitation will be sent soon to the GEC for observing the State Duma election. He informed that a new composition of the CEC has included some former members of the State Duma and the Federation Council, and a session of the political parties with seats at the State Duma has started to nominate candidates. Levichev said he is interested in actions of operating the election device of counting ballot papers to be used at the elections. June 28 (gogo.mn) Tomorrow, June 29, Mongolia will hold the 7th parliamentary election and lately this has become the hot topic in Mongolia. This has certainly attracted international attention to Mongolia and ODIHR was invited by the government of Mongolia to observe the parliamentary elections, in line with the country`s commitments as an OSCE participating State. This is the second ODIHR election observation mission deployed to Mongolia, which became an OSCE participating State at the end of 2012. The OSCE Office for Democratic Institutions and Human Rights (ODHIR) opened an election observation mission in May to monitor the 29 June parliamentary elections in Mongolia. The mission is headed by Ambassador Audrey Glover and consists of 11 international experts based in Ulaanbaatar, 14 long-term observers will be deployed throughout the regions and another 300 short-term observers (STO) to observe voting, counting and the tabulation of results. STOs will be deployed in multinational teams of two, under a deployment plan prepared by the OSCE/ODIHR EOM. The mission will assess the parliamentary elections for compliance with OSCE commitments and other international standards and obligations for democratic elections, as well as with domestoc legislation. Observers will follow campaign activities, the work of the election administration and relevant state bodies, implementation of the legislative framework and the resolution of election disputes. As part of the observation, the mission will also monitor the media coverage of the campaign. In the course of its observation, the mission will meet with representatives of relevant authorities and of political parties, as well as with representatives of civil society, the media and the international community. On election day, observers will monitor the opening of polling stations, voting, the counting of ballots and the tabulation of results at all levels. A statement of preliminary findings and conclusions will be issued on the day after the elections. A final report on the observation of the entire electoral process will be published approximately two months after the completion of the election process. GoGo Mongolia will bring you more updates on related developments. Ulaanbaatar, June 28 (MONTSAME) The last plenary session of the incumbent State Great Khural (Parliament) within its powers has been planned to hold closing ceremony this morning. However, the meeting has not commenced due to insufficient attendance. Today's meeting was supposed to consider draft new wordings of Law on Criminal Case Proceedings, Law on Implementing Court Decisions and Law on Prosecuting Institutions, draft of bills on law enforcement, and draft new versions of law against family violence and law on waste management. June 27 (Bloomberg) -- The number of Mongolian citizens accepting an offer to sell a portion of their Tavan Tolgoi shares back to the government has reached 960,000, state-run Montsame news agency reported Friday. Literature review suggests that other than income, there is no good criterion available to identify the poor people in Mongolia. Housing conditions may be another criterion to add in the list. It was therefore decided to propose a project aiming to develop a criterion based on various socio-economic parameters like education, occupation, material possession, income and some other few selected variables, in Mongolia. To develop a scale to determine the socio-economic status (SES) of people in Mongolia. With the help of the developed scale, a survey will be carried out in Ulaanbaatar, initially, to decide the SES of people. 1. The percentage of HIG group is around 5%. 2. The tolerable error is around 20%. So, the sample size is N = 4pq/L2 = 4*0.05*0.95/(0.01)2= 1900 or 2000. Therefore a sample size of 2000 was proposed. The study has brought out a new approach to defined socio-economic status using various socio-economic indicators. However, it is crucial to prove the validity of the classification. One of the approaches could be to compare the estimates of our study with that of reported earlier by other authors or organizations. There are no studies to show the socio-economic status categorization in Mongolia. However, poverty estimates are available. Our study has estimated the poverty incidence to be around 19.3%. This estimate is quite closed to the reported poverty rate of 19.8% in year 2012 for Ulaanbaatar. Reducing the poverty in Mongolia to 18 percent by 2015 is one of the country's stated goals. The poverty estimate for Mongolia is reported to be around 27.4% for the year 2012. For many welfare measures taken by the Government, it is important that their effect should be seen on the living standards of the people. Poverty estimates have been reported and used regularly in Mongolia for monitoring the changes in the social status. However, the information on socioeconomic status, if available, could be also used to evaluate the changes in socio-economic status rather than the changes in the poverty estimates alone. It can be argued that many welfare measures or effect of country economic status can show early effects on middle income group rather than on poor income group. Hence, knowledge of socio-economic status and changes in thereof can be beneficial to use it for monitoring progress of the society in general and progress in economy of the country in particular. We have shown that the income level, education level, type of house and possession of cars are closely associated with the socio-economic status defined by us hence indirectly showing its validity. To evaluate the effect of various welfare schemes on the living standard of people in Mongolia, the percentage distribution of households so obtained according to socio-economic status could be used in future. The households with High socio-economic status are not found in our survey. This shows the percentage should be even less than 0.1%. The average income of poor, as defined by us, is around $4 per caput per day. Generally, the income of $2 per capita per day is taken as the cut off for defining the poor. Based on our result we suggest that it should be raised to $4 per capita per day. The maximum poverty (39%) is associated with Ger. Possession of cars can be taken as an important criterion in addition to Education, Income and Occupation. We have shown that the income level, education level and type of house are closely associated with the socio-economic status defined by us hence indirectly showing its validity. Ulaanbaatar, June 27 (MONTSAME) President of Mongolia Ts.Elbegdorj has sent greetings to the 6th World Congress Against the Death Penalty, which was held on June 21-23. He extended his heartfelt greetings and best wishes to the distinguished guests. "You are the tireless guardians of the sanctity and dignity of human life", he added. "I know every one of you can tell your personal stories, when it comes to fight against death penalty. Here is my story. On the day I swore in as the President of Mongolia on June 18th 2009, two draft decrees were tabled on my desk. One was on death penalty for a criminal. Other was to pardon him. I decided to choose life. I chose a clean, just and bloodless future for my people. No death penalty has been carried out since that day in Mongolia. On January 1, 2010, I declared a moratorium on capital punishment in my country. Two years later, on January 5, 2012, our Parliament ratified the UN's International Covenant aiming at the abolition of the death penalty. And here comes even the greater news. My country will fully abolish the death penalty by our new criminal code which will come into effect on September 1, 2016"
"Every government claims that it exists to serve its citizens. That means that no government has a right to take the life of its people. We can punish a heinous criminal, but we cannot punish life. Capital punishment is ineffective and barbaric. Death penalty is not acceptable under any circumstances. I believe one day our loving human family will become free of the death penalty. I know, it is not easy to exercise leadership on this tough issue. Nevertheless, as a democratic anchor in the east, Mongolia shall spare no efforts to help our like-minded friends to abolish the capital punishment. You are the leaders in this cause – you deserve the praise, and you deserve the prize! The world without the death penalty. It is inspiring. Let's work together to near that day", said the President and concluded his speech with thanks. Ulaanbaatar, June 27 (MONTSAME) In a ceremony of signing the contributions agreement on June 24, the Swiss Agency for Development and Cooperation (SDC) formalized a partnership with the United Nations Population Fund (UNFPA) to co-finance the project, "Combating Gender-Based Violence in Mongolia". SDC has committed to contributing 4.3 million USD to the project, covering a 4 year duration, while UNFPA is financially contributing 853,000 USD, and the Government with in-kind contributions in the amount of 452,000 USD, bringing to the total project budget of around 5.6 million USD. Present at the signing ceremony was Markus Waldvogel, Country Director of SDC in Mongolia and Naomi Kitahara, Representative, UNFPA. Also present was B. Batzorig, Head of the Public Administration and Management Department of the Ministry of Justice. "With this project SDC is looking forward to strengthen its commitment toward gender equality mainstreaming and to become a main partner of Mongolia in the fight against gender based violence", Daniel Valenghi, Head of Programme, SDC Mongolia. Gender based violence (GBV) and particularly domestic violence (DV), is a serious and life-threatening human rights violation prevalent in Mongolia today. The Convention on the Elimination of all Forms of Discrimination Against Women (CEDAW) expressed concern "(At) the high prevalence of violence against women, in particular domestic and sexual violence, (and) at the lack of statistical information on violence against women." According to the statistics of the General Police Authority, nearly 88.3% of victims of domestic violence are women, and 40% of them are young women aged 15-34, who are more unlikely to report. In addition, eighty people lost their lives, and 3,299 people were injured due to domestic violence in the last 5 years. In 2015, there were 1,356 cases of domestic violence registered and the number of domestic violence cases reported to the police increased by 26.0 percent from the same period of the previous years." The project aims to tackle GBV/DV in Mongolia by: 1) gathering data countrywide on the current state of GBV/DV and its root causes; 2) raising awareness of GBV/DV to help encourage a more sensitive public and responsive decision-makers; and 3) improving and expanding response mechanisms for survivors of GBV/DV. The Project implementation partners include three Government Ministries, namely the Ministry of Justice, the Ministry of Population Development and Social Protection, and the Ministry of Health and Sports; Government agencies such as the National Registration Statistics Office, General Police Authority and the National Committee on Gender Equality; and partner NGOs. While there have been legal advances in the country in recent years, including the criminalization of domestic violence as well as various improvements in the legal protection for victims reflecting the national commitment to address the issue, the project aims to provide the Mongolian government with technical and financial support necessary to meaningfully combat GBV/DV countrywide. "This is an opportune time for Mongolia to seriously address GBV/DV as a human rights issue, and end cultural impunity, " says UNFPA's Naomi Kitahara, with reference to Mongolia's recent election to the United Nations Human Rights Council. "The project will also further support Mongolia's commitment to achieving the Sustainable Development Goals, specifically Goal 5, which is to achieve Gender Equality, and to meet the target for eliminating all forms of violence against women and girls by 2030." The project is also to support the implementation of the recommendations of the Universal Periodic Review for Mongolia as stated by the United Nations Human Rights Office of the High Commissioner, specifically: 1) To continue efforts to combat and protect victims of domestic violence and to ensure access to justice for victims; 2) To remove barriers in accessing legal remedies against domestic violence; and 3) To adopt the revised Law against Domestic Violence. Ulaanbaatar, June 27 (MONTSAME) The Governor of the Capital City has issued a direction on banning sales of alcohol and organizing of various public events on June 29 in connection with the elections of State Great Khural (Parliament) and of the Citizens' Representatives Khural. Accordingly, the authorities will give no permission for events that involve many people. Also, art and culture performances and sports tournaments are not allowed on June 29. The voting day is legally a public holiday. Ulaanbaatar, June 27 (MONTSAME) The Asian Development Bank (ADB) has said its program is supporting reforms in Mongolia to ensure the sustainability of welfare programs and develop policies and regulations to improve targeting and consolidate social welfare programs. Welfare programs in Mongolia focus on the provision of social pensions, allowances, and services to citizens with special needs who are in poor health, lack family support, and are not capable of living independently. Programs also support individual household members who require social welfare assistance to meet their basic daily needs. The main area of reform under the program focused on improving policies and regulations to support targeting and consolidation of social welfare programs. The program funded short-term revenue shortages in 2015 which, if unaddressed, would have resulted in significant cuts in welfare programs. These cuts would have disproportionally affected the poor--as many depend heavily on benefits for daily subsistence--and push more Mongolians into poverty. The program supported reforms under Mongolia's economic adjustment plan to improve fiscal policy management to ensure the sustainability of welfare programs, and develop policies and regulations to improve targeting of beneficiaries and consolidate social welfare programs. A realistic policy framework with manageable policy actions is needed to achieve intended results and successfully implement reforms. All policy actions under the program were fully achieved 9 months ahead of the deadline, illustrating this important lesson. June 27 (UNCTAD) The guide was launched by Mongolia's Prime Minister, Chimediin Saikhanbileg, at a ceremony in Ulaanbaatar. He said it would "improve transparency, reduce bureaucracy, improve the business environment and strengthen relations with investors." Designed to facilitate investment decisions, the UNCTAD online Investment Guide to Mongolia provides local and foreign investors with updated and hard-to-find information on operating costs, wages, rents and taxes, as well as on laws, procedures opportunities in mining, agriculture, tourism and financial services, and useful contacts. The guide is aimed at helping Mongolia attract the kind of investment it needs to fulfill the aspirations set out in the global Sustainable Development Goals. UNCTAD has calculated that to achieve the SDGs developing countries globally need to attract $2.5 trillion a year in private investment per annum to bridge the current financing gap. The information in the guide was developed following extensive meetings with government agencies that deal with investors as well as with investors themselves. To this end, the guide provides an overall investment picture that isn't available elsewhere. Staff at the Invest Mongolia Agency took the lead in producing the information and data, under the guidance of UNCTAD. Training on investment issues was a key element in the programme. The guide is based on a platform developed by UNCTAD (www.theiguides.org) and currently used in a number of countries. It has been designed to be easy update, ensuring the information available remains relevant. The Mongolia investment guide is part of a package of assistance provided by UNCTAD to the Government on investment matters, and follows the Investment Policy Review of Mongolia of 2013. Ulaanbaatar, June 27 (MONTSAME) As Mongolia's economy expands, the energy consumption spikes up. Therefore the cabinet has decided to launch several energy project that would meet the ever-growing domestic energy needs, such as Baganuur, Tavantolgoi and Booroljuut plants and Shivee Energy projects, reports the Ministry of Energy. The Baganuur Power Plant project, aiming at covering the increasing consumption of energy in the central region (Baganuur-Choir area including Dornogovi, Dundgovi and Khentii), has been decided to implement on a concession agreement. The total cost of the project is estimated at USD 800-900 million. The plant is to be based on Choir-Nyalga coal deposit and with estimated annual production capacity of 700 MW. As for the Booroljuut Power Plant, it is expected to contribute USD 35.5 million each year and over USD one billion in total to the state budget and provide more than 300 workplaces. The plant will be located in Bayanjargalan soum of Tuv (Central) province. The production capacity is 300 MW a year. The Marubeni Corporation of Japan was selected as the strategic investor in the Tavantolgoi Power Plant Project. Initial cost of the project totaled to about USD one billion. Project implementation might last for some 30 years, employing 2,000-3,000 people during construction and installation. Commissioning is expected in 2019. The main consumer will be Oyu Tolgoi LLC. June 27 (EBRD) The European Bank for Reconstruction and Development (EBRD) is supporting the expansion of Doctor Auto Chain, a car maintenance and spare parts retailer in Mongolia, with business advice and finance. The company, which now employs about 200 people, has now opened three new branches. This was possible thanks to advice from industry experts, promoted by the EBRD and supported by the European Union, and a US$ 2.7 million loan from local Khan Bank, which was co-financed by the EBRD. Strengthening resilience by supporting the business climate and private sector growth is one of the EBRD's key priorities. That is why in Mongolia, the Bank is helping shield the economy from exclusive dependence on natural resources through support of small and medium-sized businesses (SMEs), such as Doctor Auto Chain. Car ownership is an important factor which can determine economic and social inclusion in Mongolia. In rural areas, it helps to cover great distances in a sparsely populated and extremely vast country. In the rapidly growing cities, it compensates for insufficient public transport. The automobile sector is therefore growing and presents a great business opportunity. To cover kilometres on unpaved roads in safety or to be jammed in traffic with extreme temperatures outside requires a set of specific checks and car maintenance products. Doctor Auto Chain, which was established in 1998 as a small workshop producing car seat covers, has responded to growing customer demand by gradually introducing diagnostic and repair services as well as retail of spare parts and car accessories. The company is also the first and only private enterprise in Mongolia licensed for compulsory state vehicle inspections. In 2012, Doctor Auto Chain's CEO, Mr Gantuul, was ready to expand the business and add more branches, including some outside the capital Ulaanbaatar. With the EBRD's Advice for Small Businesses, which in Mongolia is funded by the EU, Doctor Auto Chain improved its financial reporting according to international standards and established a proper data collection and analysis system as a basis for strategic planning. "SMEs constitute a major source of employment and generate significant domestic and export earnings," said Lars Gronvald, Head of Cooperation of the EU Delegation to Mongolia. "As such, SME development emerges as a key instrument for growth creation and in poverty reduction efforts." "With the aim of working towards the diversification of the economy by creating skilled jobs and decent work outside the mining sector, the EU brings support to the Mongolian SMEs." 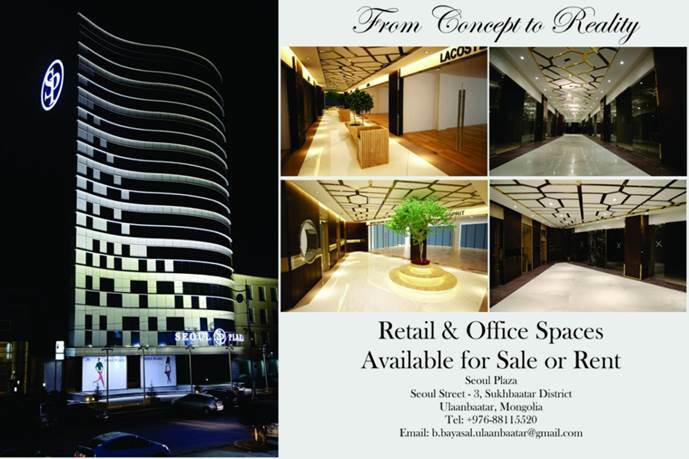 The project helped the company secure the loan used to finance the investment in new branches. To support both local banks such as Khan Bank and their potential mid-market clients with larger and longer-term loans, the EBRD designed the Risk Sharing Facility, which co-finances loans extended by partner banks to local enterprises and shares up to 65 per cent of their risk. "This is an example of how the EBRD and partner donors, through the Small Business Initiative, combine innovative financial instruments, including indirect finance and business advice, to boost SMEs' and local financial institutions' capacity to play their economic role to the full potential," said Matthieu Le Blan, the EBRD's head of office in Mongolia. Doctor Auto Chain has continued to successfully grow. Now it has six branches in Ulaanbaatar, one in Erdenet and, only last week, opened its newest branch in Darkhan, Mongolia's second largest city. And the company's journey isn't over. Doctor Auto Chain is now exploring the possibility of entering the market in Kazakhstan. Focusing on the private sector, the EBRD has invested more than €1.3 billion since it started working in Mongolia in 2006 in projects from energy and small business, to industry and financial institutions. June 28 (Asset Finance International) BOT Lease, the leasing subsidiary of Mitsubishi UFJ Financial Group, is applying to be the first foreign leasing company to open a representative office in Myanmar after the country signalled its intention to start work on a leasing law as part of a package of regulatory reforms. Leasing is rarely used as an option in Myanmar, and as such has been largely unregulated. However, the government has said it believes establishing clear rules for a leasing industry would improve financial access for small firms and ultimately promote economic development. The International Finance Centre (IFC), part of the World Bank, has been working to encourage the development of a leasing law, arguing that for the country's largely rural population, this form of finance will help them acquire equipment more easily. Currently, local banks and financial firms are allowed to offer leasing and hire-purchase, where an asset is paid for in instalments. Yangon-based Yoma Fleet leases cars and small-scale construction equipment like cement mixers, while car dealerships like Hyundai Motor Myanmar offer leasing services for vehicle purchase. However, there is no legal framework for dealing with defaults in either hire-purchase or leasing, so if a customer defaults on payments, the lessor may have to go through a time-consuming and costly court procedure to get the asset back. Similarly, there is little clarity about rules governing leasing contracts or the fees or rates firms can charge. There are signs that the government is assessing legislation to take action on this, and BOT Lease is preparing to make its application to the Directorate of Investment and Company Administration with the aim of opening a representative office in Yangon as early as August. In common with other foreign firms looking to break into the Myanmar market BOT Lease has been waiting some time to begin operations. The company first applied to open a representative office in 2013, but was rebuffed as at that time no foreign banks or insurance companies were allowed to operate in Myanmar. Since then the government has passed a new Financial Institutions Law. That piece of legislation went through in January and designated leasing companies as non-bank financial institutions. BOT Lease has now undergone a separate application to seek approval from Myanmar's central bank to begin leasing operations. The company plans to bring cars, construction equipment and information technology devices from such sources as Thai plants run by Japanese manufacturers. Myanmar's leasing market is predicted to reach several hundred billion yen, equivalent to billions of dollars, over the next five years as progress is made on completing new infrastructure such as roads and airports. A number of Japanese companies have won work on contracts in new development areas. BOT Lease will partner with Myanmar's Co-operative Bank to grow its business faster, as the local bank already offers hire purchase services and has a partnership agreement with Bank of Tokyo-Mitsubishi (BTMU). The Japanese lender was one of nine foreign banks to open branches in Yangon last year, and will help broaden BOT Lease's Myanmar operations. June 28 (news.mn) UB City mayor E.Bat-Uul has issued an order authorizing the establishment of a zone for rest and relaxation on the banks of the Tuul River. The riverside zone will cover 28 hectares and be located in the 11th khoroo of the capital's Khan-Uul district. Under the mayor's order (А/521), UB designates this land to be used for rest and relaxation for the next 15 years. No alcohol will be permitted in the services to be established along the riverside. Ulaanbaatar, Jun 28 (Prensa Latina) The government of Mongolia announced today that Japan is considering the construction of a railway project altogether. The statement takes place after a working visit to Japan of Mongolian officials earlier this month as well as the negotiation between the ministry of Foreign Affairs of the Central Asian country and the National Security Council of Japan. Previously, Ulaanbaatar asked Tokyo to consider financing railways in eastern Mongolia with a development credit. According to the Mongolian authorities, the Japanese Prime Minister Shinzo Abe, was optimistic about the proposal and stated that the Japan Bank for International Cooperation is currently studying the options in detail. June 27 (news.mn) The Premier of the State Council of the People's Republic of China, Li Keqiang, sometimes also referred to informally as the "Prime Minister" is to visit Mongolia in July. Premier Li Keqiang will attend the 11th Asia-Europe Meeting (ASEM) Summit in Ulaanbaatar. Various other heads of state and government will also take part in the ASEM. The Chinese Premier's visit was confirmed when President Elbegdorj met President Xi Jinping in Tashkent in 23rd June. The 11th ASEM Summit in Mongolia also marks the 20th Anniversary since the Asia-Europe Meeting dialogue process was inaugurated in 1996 in Bangkok, Thailand. June 29 (The Daily Star) Prime Minister Sheikh Hasina yesterday urged Mongolia to import more products from Bangladesh, especially food, pharmaceuticals and jute items, to improve bilateral trade for mutual benefits. The prime minister made the call when Gonching Ganbold, Mongolian non-resident ambassador to Bangladesh, paid a courtesy call on her at her office at national parliament. After the meeting, Ihsanul Karim, press secretary to the prime minister, briefed reporters. Karim quoted Hasina as saying that efforts should be made to boost the trade volume between Bangladesh and Mongolia. The prime minister also urged Mongolian entrepreneurs to invest in Bangladesh's potential sectors for the greater interest of the two countries. She said her government has ensured an investment-friendly environment in Bangladesh. The bilateral ties among the participating countries of the upcoming 11th Asia-Europe Meeting, which will be held in Mongolia, will be strengthened further after the event, Hasina said. Hasina conveyed her best wishes to the Mongolian president and prime minister through the envoy. The Mongolian ambassador said his country imports huge amount of jute and pharmaceutical items from Bangladesh. He said Bangladesh and Mongolia share good bilateral relations, which will be consolidated further in the years to come. The envoy said his government is very happy to come to know that a high-level Bangladesh delegation led by Hasina will join the Asia-Europe Meeting. "We're eagerly waiting to welcome the Bangladesh delegation headed by the prime minister as it'll be a historic one." Mongolia will host the 11th Asia-Europe Meeting of Heads of State and Government in its capital Ulaanbaatar on July 15-16. Suraiya Begum, secretary of the Prime Minister's Office, was also present. June 28 (The Diplomat) Overshadowed by the news of the British referendum on European Union (EU) membership held the same day, on June 23 Presidents Xi Jinping of China, Vladimir Putin of Russia, and Tsakhiagiin Elbegdorj of Mongolia signed a trilateral economic partnership agreement in Tashkent, Uzbekistan during the 11th meeting of the Shanghai Cooperation Organization (SCO). The agreement consists of 32 proposed projects, and outlines the creation of a joint investment center to assess the financial requirements and feasibility of each by the end of 2016. According to the official press release on Elbegdorj's website, a key part of the agreement involves cooperation on improving roads and other forms of transportation in the region. The agreement proposes regular consultations with third-party transport agencies, including railway companies. The deal also affirmed that the future trilateral relationship between China, Russia, and Mongolia would not be limited to "transport and customs issues" but perhaps extend to agriculture, tourism, emergency preparedness, and more. Mongolia plans to host the next round of talks on the implementation of the economic corridor in the fall, after the highly-anticipated Asia Europe Meeting (ASEM) in Ulaanbaatar this summer. After a roadmap for the agreement was signed in November 2015 in Ufa, Russia, many expected an official agreement to be signed during this year's SCO meeting. As The Diplomat reported last fall, the economic corridor, aimed at greater trade integration, is in line with the individual policies in all three countries: China's "One Belt, One Road" (OBOR), Russia's Trans-Eurasian Belt Development (TEPR), and Mongolia's Prairie Road program. The leaders of the three countries first met in September 2014 to discuss the corridor in Dushanbe, Tajikistan. Putin said in the initial meeting with his Chinese and Mongolian counterparts: "The natural geographic proximity of Mongolia, Russia and China makes it possible for us to implement good long-term projects in infrastructure, the power sector, and the mining industry. We have what to discuss with each other. Naturally, we deem it important, expedient, and useful to start a permanent dialogue." Yesterday, in an exclusive interview with The Diplomat, Mongolian Minister of Foreign Affairs Lundeg Purevsuren said that "each of the 32 projects is the most important" when asked about Mongolia's priorities entering the agreement. Purevsuren said that the trilateral cooperation represents a new era of economic opportunity for Mongolia, which will continue to capitalize on its strategic location as an intermediary between East Asia and Europe. Last week, also at the SCO meeting in Tashkent, Putin asked Mongolia to back down from a planned $1 billion hydropower project on a tributary of Mongolia's Selenge River, which flows into Russia's Lake Baikal, the world's oldest and deepest freshwater lake. The project, funded in part by a loan from the China Export Import Bank and in partnership with China's National Development and Reform Commission, has been temporarily put on hold. It is unclear if the hydroelectric project will be affected by the new trilateral partnership. Purevsuren reaffirmed Mongolia's commitment to the Egiin Gol plant but also said his country is dedicated to acting in accordance with principles of environmental protection, which is a product of Mongolia's nomadic culture. Munkhsoyol Baatarjav, CEO at the Institute for National Strategy, told The Diplomat that the trilateral agreement "is a good start for Mongolia in terms of cooperation with two giant neighbors." Baatarjav, who is currently running for parliament as an independent candidate, said the deal represents a valuable opportunity for Mongolia to expand its economy and solve infrastructure challenges. Other analysts are skeptical about the future impacts of the agreement on Mongolia, which currently has the weakest economy of the three nations. Dr. Julian Dierkes, director of the Program on Inner Asia at the University of British Columbia's Institute of Asian Research and author of the popular Mongolia Focus blog, described Mongolia's dilemma: "Economic possibilities on the one hand, [and, on the other,] trepidation about a situation where two powerful, sometimes overbearing neighbors agree." Dr. Kent Calder, director of the Reischauer Center for East Asian Studies at Johns Hopkins University's School of Advanced International Studies, called the agreement indicative of a "broad regional trend" toward deepening economic integration across the continent. Calder argued that the region's propensity toward increasing interdependence is "spurred by several developments including Chinese economic growth, deepening Sino-Russian diplomatic ties flowing from Euro-Russian tensions since the Ukraine crisis, the greater autonomy of Central Asia since the collapse of the Soviet Union, and technological developments in high-speed rail and communications." While the news was overshadowed internationally by the U.K.'s vote to leave the EU, it was covered widely by Asian news outlets including The Japan Times and CCTV. Ulaanbaatar, June 28 (MONTSAME) Permanent Representative of Mongolia to the United Nations Office at Geneva, the World Trade Organization (WTO) and international organizations V.Purevdorj addressed the Fifth Meeting of Trade Ministers of Landlocked Developing Countries held on June 23-24 in the WTO Office in Geneva, Switzerland. In his speech, the Ambassador V.Purevdorj pointed out challenges and difficulties landlocked developing countries are confronted with in boosting their trade, and hoped that this meeting will stimulate parties to take joint efforts for seeking ways of tackling the challenges, exchanging experiences and information and shaping strategies and positions for the further cooperation. He underlined the significance of dynamic cooperation in mastering the challenges landlocked developing nations are facing and delivering the Vienna Programme of Action for Landlocked Developing Countries for the Decade 2014-2024 and the 2030 Agenda for Sustainable Development. "As a land-locked country, Mongolia emphasizes an importance of ratification and implementation of the WTO's Trade Facilitation Agreement, ensuring trade facilitation through removing transit transport obstacles, thus guaranteeing the freedom of transit for developing countries. In this connection, I am pleased to inform that the TFA Agreement has been presented to the Parliament of Mongolia for the ratification," said Purevdorj and urged countries to join the multilateral agreement on establishment of the International Think Tank for Developing Landlocked Countries (ITTLDC) in Ulaanbaatar. On the sidelines of the meeting, events took place for presenting functions of the ITTLDC and research materials released by this organization. Ulaanbaatar, June 28 (MONTSAME) A ceremony took place on Tuesday in the "976" Fine Art Gallery to launch activities of a new club of cultural attaches in Ulaanbaatar. The club was founded at the initiative of the Mongolian Ministry of Foreign Affairs in line with an international diplomatic practice. L.Purevsuren, the Mongolian Minister of Foreign Affairs made opening remarks at the ceremony which was attended by representatives of the diplomatic missions in Ulaanbaatar. Following the opening, B.Gantuya, founder of the "976" gallery briefed about the development of the contemporary art in Mongolia and held conversations with the guests. Main objectives of the club are to promote Mongolian history, custom, arts, tangible and intangible pieces of cultural heritage such as traditional sports, handcrafts and historical sites to foreign diplomats and to provide them with information about the state policy and actions in the cultural sector. The club also serves to support contacts between the diplomatic missions and domestic cultural organizations and to forward new initiatives for diplomats regarding cultural cooperation. Ulaanbaatar, June 27 (MONTSAME) On June 24, a ceremony took place for opening a branch of the Vietnam-Mongolia Friendship Society in Quang Ninh Province, with participation of deputy head of the Friendship Society and former Ambassador of Vietnam to Mongolia Chan Nguyen Chyk; head of the Society in Quang Ninh Province Le Toan; the Ambassador of Mongolia to Vietnam D.Enkhbat; and other officials. Addressing the ceremony, D.Enkhbat, the Ambassador to Vietnam emphasized that since its establishment in 1961 the Vietnam-Mongolia Friendship Society has been contributing to fostering bilateral friendly relations, strengthening mutual understanding between people and promoting national culture, traditions and heritage. He expressed his satisfaction with opening of this branch which is coincided with the 810th anniversary of the Great Mongolian Empire, the 95th anniversary of the People's Revolution and the 62nd anniversary of the Mongolia-Vietnam diplomatic relations, and then said the Embassy has a willingness to actively cooperate with the Friendship Society in Quang Ninh Province. On the sidelines of the ceremony, head of the People's Committee of Quang Ninh Province met the Mongolian Ambassador. They exchanged views on organizing an inauguration of a new book named "Mongolia – closer to the sky" by a juvenile author and chair of the branch society Le Toan. Ulaanbaatar, June 27 (MONTSAME) On occasion of the 60th anniversary of the Mongolia-Indonesia diplomatic relations, an exhibition of Mongolian calligraphy and traditional toys was mounted on June 25-26 in Jakarta city. Sh.Battsetseg, the Ambassador Extraordinary and Plenipotentiary of Mongolia to Indonesia addressed the opening of the exhibition which was co-organized by the Mongolian Embassy in Indonesia, the Honorary Consulate of Mongolia in Surabaya and the Mongolian Cultural Envoy in Indonesia. In her speech, the Ambassador said this exhibition is one of the serial events taking place this year, and believed that the Mongolian calligraphy registered in the UNESCO heritage as well as traditional Mongolian puzzle toys gave wider insight into Mongolia to Indonesian people and its people. She also hoped that this exhibition will contribute to boosting the people-to-people ties. Basuki Tjahaja Purnama, the Mayor of Jakarta city addressed the exhibition's opening, saying that the event plays a vital role in expanding bilateral diplomatic relations which turned 60 years. The Mongolian Embassy's exhibition attracted representatives and officials from diplomatic missions in Jakarta and international organizations and foreigners residing in Indonesia. Ulaanbaatar, June 27 (MONTSAME) Mind athletes from the Mongolian Intellectual Academy successfully competed in the Extreme Memory Tournament of top 24 world competitors held on June 24-26 in San Diego. They have captured silver and bronze medals. An international master Z.Tsetsegzul won a bronze medal, sensationally beating Johannes Mallow of Germany, World number #1 and winner of the 2015 Extreme Memory Tournament. E.Purevjav GM got a silver medal, being lost to Simon Reinhard also from Germany, World number #5 and 2015 Junior World champion. In the quarter-finals, he defeated Alex Mullen, 2015 World Memory Champion from USA. Our athletes were coached by B.Baasandorj. With a prize fund of USD 75 thousand, the tournament was held among top mind contestants from Mongolia, USA, Germany, England, Sweden, the Netherlands, the Philippines and China. June 28 (news.mn) In accordance with Decree 92 of the President and Commander-in-Chief of the Mongolian Armed Forces Ts.Elbegdorj, and approved by the Government of Mongolia, the "Student Soldier" program was launched nationwide in 2014. A total of 1500 students have participated "Student Soldier" program over the last two years. This summer, 1000 student from institutes and universities, will serve in the Mongolian army. The "Student Soldier" program will be implemented in Khovd, Dornod and Govisumber provinces for the first time. Ulaanbaatar, June 28 (MONTSAME) The 12th Altargana Festival of the Buryatian people will take place on July 1-3 in Ulan-Ude of the Republic of Buryatia, Russia. The first ever biannual festival was held in 1994 in Dadal soum of Khentii province. The event incorporates a Buryatia Day, which includes competitions of traditional customs and folk songs, dance and epic stories, and a beauty contest named "Buryad Dagina". Also, expected are trade fairs showcasing Buryatian ethnic handcrafts and souvenirs, a performance demonstrating the livelihoods of Buryatian families, essay and short story competition and a concert. The festival is being organized by the Foundation for Buryatian Heritage and Culture Development, the Academy of Buryatia Studies, Amin Toonto NGO, Archery Union of Buryatia, sports federation, Buryatians of Selenga River NGO and Khatar Yokhor band. Ulaanbaatar, June 28 (MONTSAME) In the time of Velociraptor, 80 million years ago, southern Mongolia looked surprisingly like the Gobi Desert that exists there today. Animals roamed, nested and fought amid an arid climate while sand-soaked winds battered rocky outcrops. Today, walking along the Flaming Cliffs of Bayanzag, you may only notice one stark difference: Where Velociraptor and other dinosaurs once thrived, there are now only a few fossilized remains. And even those are endangered, writes the Earth Magazine. Because of this, a small team of scientists, hired staff and volunteers — I'm one of the latter — is heading to Mongolia this fall to try to save them. Unlike similar fossil-rich locales in the U.S., like Dinosaur National Monument in Utah or the La Brea Tar Pits in California, Bayanzag has no museum, no visitor center, no on-site staff and no year-round protection. This leaves the extraordinary fossils of Protoceratops,Oviraptor, Pinacosaurus and others vulnerable to weather, poaching and accidental damage, and it leaves local communities without resources to protect them or a means to benefit from an increasingly popular tourist attraction and scientific resource. The same story can be told at other important fossil sites across Mongolia. Mongolian paleontologist Bolortsetseg Minjin is working to change this. Initially supported by the Museum of the Rockies in Bozeman, Montana, USA, she founded a nonprofit organization called the Institute for the Study of Mongolian Dinosaurs (ISMD) with a mission to "develop a self-sustaining active community of Mongolian paleontologists and a museum in Mongolia to preserve dinosaurs and other national treasures for generations to come." Since 2007, the ISMD has helped repatriate 31 illegally exported dinosaur fossils and held 25 outreach events in Mongolia and the U.S., promoting paleontological knowledge, fossil conservation techniques and an appreciation of scientific thinking and deep time. The group's work has received praise from the Mongolian government as well as the paleontology community. "It's awesome to see this initiative taking shape. I grew up in a fossil-rich rural area myself — in South Dakota — and I'm glad to see anything that fosters appreciation and access by rural people worldwide," says Andrew Farke, director of research and collections at the Raymond M. Alf Museum of Paleontology in Claremont, Calif., who is not involved in the project. In 2013, New York's American Museum of Natural History donated a mobile dinosaur museum to the cause. After crossing half the world to get to Ulaanbaatar, the exhibit-filled tour bus had its first successful outreach expedition last year. Funded by an Indiegogo campaign and donations from private philanthropist Gerry Ohrstrom and Mexico-based investment firm Epicurus Fund, Bolortsetseg brought the mobile museum to Bayanzag, where children who live near one of the world's most important dinosaur quarries could learn, for the first time, about the creatures discovered there. Now, the ISMD is planning its most ambitious outreach effort yet: a month-long mobile museum expedition this fall to Ulaanbaatar, Bayanzag and Western Mongolia, with a team of American and Mongolian collaborators. Bolortsetseg says she hopes the effort will help prevent fossil poaching by educating local communities near important quarries on the long-term economic and educational benefits that publicly accessible fossils can have, and help protect fossils that become exposed through accident or erosion by teaching methods of fossil conservation to area residents who can use them year-round. While on tour, we also plan to engage locals on the topic of a permanent museum near Bayanzag that could serve as a center of research, learning, conservation and community gathering. Because the mobile museum was constructed in the U.S. for English-speaking audiences, none of the exhibits are currently in Mongolian. Translation is one of a suite of outreach expenses budgeted into a new crowdfunding campaign the ISMD is launching today. Other expenses include transportation, room and board for the team, artwork of Mongolian dinosaurs for educational materials, a Mongolian/English website for Bayanzag tourists and locals, and potentially, a campaign of leave-behind fliers designed to discourage fossil poaching. Velociraptor will never roam the Mongolian landscape again, but through the efforts of Bolortsetseg Minjin and the volunteers of the ISMD, its remains will hopefully last long enough in the wild to grace the halls of a modern museum in the Gobi. June 27 (gogo.mn) Dinosaur museum is to open it's door today to public and show their Tyrannosaurus rex and other Cretaceous period paleontology findings. Using modern technology, Museum exhibits will be presented in 3D. The dinosaur museum (old Lenin Museum) opening will take place today at 18:00. June 28 (news.mn) An exciting new exhibit has been unveiled at the Mongolian Dinosaur Museum in Ulaanbaatar. The opening of the display, which also consists of 3D models of the dinosaurs which lived in our country during the Late Cretaceous (over 66 million years ago), opened yesterday (27th June). More than 20 fossils including the carnivorous Tarbosaurus 'Bataar', the herbivorous Saurolophus, the small and fast-moving 'egg taker' or Oviraptor, and the armored Ankylosaurus, which had a hammer tail for defence are now on display in the new exhibit. The exhibit also includes scientifically accurate 3D models and augmented reality technology to bring Mongolia's prehistoric past alive. Museum visitors can use a mobile application which provides information about the exhibits. June 27 (news.mn) A shallow magnitude 3.9 earthquake struck the northwestern Mongolian province of Khovd on Sunday (June 26th), the Siberian branch of the Russian Academy of Sciences reported. The epicenter was in a remote region near Khar-Us Lake in Khovd province. There are no reports of significant damage. According to the report, the epicenter was some 428 kilometers south of Kyzyl, the capital of the Republic of Tuva in the Russian Federation. June 27 (MMA Insider) Former ONE Featherweight World Champion Narantungalag Jadambaa comes from a nation that prides itself on never backing down and always bringing the fight when needed. That is why Jadambaa wants nothing more than to work his way right back into another title shot to reclaim the belt he lost to Marat Gafurov last November. Jadambaa is set to headline the ONE: DYNASTY OF CHAMPIONS (HEFEI) event on 2 July from the Hefei Olympic Sports Centre in China against top Filipino contender Eric Kelly. A win would be his second straight over tough competition since the loss to Gafurov, and likely position him as the next in line to get a shot at the belt. Besides personal glory, representing Mongolia is something that "Tungaa" takes very seriously each time he competes. "I am very proud," said Jadambaa of his heritage. "Mongolia has a history of great warriors. It means to me that I am representing one of those warriors in present times, and show success." Like most from the mountains of Mongolia, Jadambaa grew up learning to wrestle. A lifelong practitioner of martial arts, he is currently a second-dan black belt in Judo, a black belt in Kyokushin Karate, and a purple belt in Brazilian Jiu-Jitsu. "When I was a child, I grew up in the countryside," said Jadambaa. "I think there is no one in Mongolia who cannot wrestle. So, as kids, I wrestled all day long and raced horses. These were a unique part of country life." Now entering his twelfth year of active competition, Jadambaa believes his level of skill and experience is one that can offset fighting against younger athletes. Since going professional in MMA in 2004, he has accumulated a respectable 11-4 record. "MMA is a combat sport which requires a lot of skill and experience," he said. "To accumulate experience and fighting skills needs time. That's why my age is an advantage for me. There is a saying in Mongolian which states that at the age of 40, you become a real man. That's why I am seeing my age as a good thing." The bout with Gafurov continues to fuel the veteran and his desire to reach the top of the sport once more. Despite a spirited effort, Jadambaa failed to defend his belt in that bout in 2015, losing via rear naked choke in the fourth round of their scheduled five-round contest. It was the first defeat for Jadambaa since a 2013 injury loss to Koji Ando, and his first legitimate defeat since 2006. "It didn't work out for me last time," recounted Jadambaa. "But I would go for another chance to get my belt back. I do have desire for that. I think that I was really close to beating him, but Marat is very patient and skilled. I poured out all of my skills and tried my best, but I realized that I have to work on becoming physically stronger." While Jadambaa enjoys each and every moment that he steps foot inside the cage, one remains at the top of his list as the most memorable – his 2014 bout in Dubai against Koji Oishi where he won the ONE Featherweight World Championship. "The fight was difficult, and went the whole five rounds. I was aware of how dangerous Oishi's right straight is, but it was very hard to defend against. Despite the tactics I had come up with against it, it still landed. I remember it very well." Jadambaa overcame that, though, and earned the ONE title, much to the delight of his friends and family. Recently, Jadambaa was even honored with a special reward from the President of Mongolia himself, the Order of Merit. The award was presented based on Jadambaa's many successes in becoming a ONE world champion as well his feats in Legend FC, K1, and Kyokushin karate. "I was very proud of myself, and I was so proud of my crew and trainer," said Jadambaa. "It means a big responsibility to me. I took the award as a sign that I have to continue winning and spend more time on my training." Ulaanbaatar, June 28 (MONTSAME) Mongolian yokozuna (grand champion of professional sumo) Hakuho will be looking to become only the third wrestler in sumo history to post 1,000 career wins when the Nagoya Grand Sumo Tournament gets under way next month. Hakuho, who retained his east yokozuna slot on Monday when the Japan Sumo Association released the rankings for the July 10-24 meet at Aichi Prefectural Gymnasium, is the favorite to take the title after winning the Summer meet in May with a perfect 15-0 record. Already sumo's most successful wrestler with 37 Emperor's Cups, Hakuho needs 13 victories to reach the 1,000-win milestone, while seven will see the 31-year-old from Ulaanbaatar become the first to post 900 in sumo's elite makuuchi division. Hakuho clinched his second straight championship at the Summer Basho and heads into the Nagoya meet on a 29-match unbeaten streak, having not lost since the opening day of the Spring tourney in March. Yokozuna Kakuryu is on the west side, while the other Mongolian yokozuna, Harumafuji, sits on the east. At ozeki, Kisenosato, who has posted 13-2 records in the last two tournaments, will be gunning for promotion to yokozuna, but will likely need to win an elusive first title to be considered for a move up to sumo's top rank. Mongolian giant Terunofuji, who has been hampered by problems in both knees, will be fighting with his rank on the line as a kadoban ozeki in Nagoya. He started with two wins at the summer meet before losing 13 straight. Brazilian grappler Kaisei and Georgian born Tochinoshin will both be wrestling at sumo's third-highest rank of sekiwake for the first time. Kitaharima is the only makuuchi-division newcomer, while Chiyonokuni, Toyohibiki, Kagayaki, Sadanofuji and Arawashi all return to the top flight, reports The Japan Times. Ulaanbaatar, June 28 (MONTSAME) Freestyle wrestlers of the national men's team are having intensive training at the Orkhon aimag-based "Olymp" camp for Grand Prix tournament to be held on July 9-10 in the "Pabellуn Exterior del CSD C" sports complex, Madrid. Our squad included E.Bekhbayar (57 kg), G.Mandakhnaran (65 kg), P.Onorbat (74 kg), O.Uitumen (86 kg) and D.Khuderbulga (96 kg) who are coached by Ts.Tsogtbayar, B.Bayaraa and Ts.Bayarsaikhan. This competition will be a great challenge for wrestlers qualified for the upcoming Olympics Games, and the wrestlers will have a 5-day international training after the competition in Spain. June 27 (news.mn) Tickets for the opening ceremony for the national festival 'Naadam', which also marks the 95th anniversary of the People's Revolution and the 810th anniversary of establishment of the Great Mongolian State by Chinggis Khan, will be available just one week before the festival. The price of tickets for covered seats will be MNT 20,000 and the price for open seats will be MNT 16,000. Tickets to watch the Naadam ceremony and National Wrestling at the Central Stadium will be on sale at the "Bukhiin Urguu" and "Soyoliin Tuv Urguu" ticket desks from 6th July. Tickets for foreign visitors wishing to watch the opening ceremony of the Naadam Festival has been set at USD25. The third and fourth sections of the Central Stadium have been designated for foreign tourists. June 28 (gogo.mn) "PLAYTIME- 2016" international live music festival took place at Hotel Mongolia, Gachuurt village during June 24-26. Over 10 bands from foreign countries and 25 Mongolian bands have performed at the three-day festival. During the festival, Mongolian designer clothes, hand made accessories, leather, portrait and hand made products were presented at the Replay art fair. June 28 (gogo.mn) "Exotic melodies of the steppe" horse fiddle (morin khuur), zither, throat singing and electroacoustic combinational concert is to be held on July 2 at 7PM at the State Philharmonic Theatre. In scope of a French electroacoustic composer Bernard Fort`s visit to Mongolia, French cultural centre in Ulaanbaatar is going to organize the first ever combinational concert in Ulaanbaatar featuring with the Bayarbaatar Davaasuren, Choreographer of the National Academic Ensemble of Song and Dance and morin khuur player, and Baasankhuu Chinbat, harpist and professor of the University of Arts and Culture. The concert will offer interesting and combinational performances of horse fiddle, zither, throat singing and dance. Prices for the ticket is MNT 20,000. Students and members of French cultural centre can get a 30% discount on the ticket. Ticket is available on sale from Jun 27 to Jul 1 at French cultural centre while tickets will be sold at State Philharmonic Theatre starting Jul 2. June 27 (UB Post) It is said that people who truly enjoy and are interested in their work gain more success than others. G.Uyanga is one of many who successfully turned their hobbies into a job. She makes art through the making of pastries, desserts, breads, and other baked goods. Last week, she announced a contest on Facebook and gave away a collection of the finest bakeries she ever made to the winners. She shared details of the contest and her career in the following interview. Why did you announce a contest on Facebook? In total, how many people took part? It's been three years since I started making customized cakes and delicacies. During this period, I received so much support from strangers who shower me with compliments and say I'm an inspiration to them. One day I thought, "Why shouldn't I make them happy?" Since the start of the contest, around 870 people left comments on Facebook, 1,200 to 1,300 people liked the contest, and similar amount of people wrote comments on Instagram. I didn't expect so many people to participate when I first planned out the contest. I originally planned to choose two people from Facebook and another two from Instagram, but I selected eight people. You personally delivered the delicacies. How did the winners react? They were very happy. They had been waiting for me since morning and even prepared gifts especially for me. That encourage me so much. How did you feel getting compliments and comments from over 870 people? I actually planned on using random.org application to choose winners at random but I couldn't figure it out so instead, I copied each and every comment by hand, cut them into strips and picked them out randomly. I knew that people around me knew about me to some extent but I never imagined that so many people saw me as an inspiration, looked up to me, and were encouraged by what I do. I was overwhelmed reading the comments. Among them was a person who wrote that she found the true meaning of happiness while doing what she loves after seeing me. She also said that she opened a small buuz and dumpling restaurant. You studied a completely different field at university. When did you start baking cakes? June 28 (news.mn) Tomorrow (29th June) is Election Day. According to Mongolian Electoral Law, the road border points will be closed on this day. Following the election they will open and return to their normal schedule. No changes, however, will be made to the air and rail schedules. So, people who plan to travel to abroad must either take the train or plane. Ulaanbaatar, June 28 (MONTSAME) At Monday's regular meeting, the cabinet of ministers of Mongolia approved Intergovernmental Agreement on Visa Exemption for official and diplomatic passport holders between Mongolia and the Republic of Malta. The cabinet resolved to issue Prime minister's direction on authorization of signing this document. According to agreement, holders of diplomatic and official passports of the two countries are entitled to travel to respective countries without visa for 30 days. June 28 (news.mn) A new road linking Undurkhaan and Choibalsan will allow residents to travel directly between the two towns. Construction of the first 80-km section of road was completed on 25th June. The 80 km road construction was completed by two companies: 'Badrakh-oil' and 'Arj Capital'. The road construction had been delayed for two years because of financial problems. In addition, 63 km of road projects will be completed before the Naadam festival next month. Undurkhaan and Choibalsan, which are located in the eastern part of Mongolia, will to be connected by a 143 km long road. Ulaanbaatar, June 28 (MONTSAME) In connection with a serious damage of the road connecting Ulaanbaatar to Ondorkhaan, overhaul maintenance is to be conducted on Jargaltkhaan-Chingis 100 km road. On Monday, cabinet assigned Minister of Road and Transport M.Zorigt to conclude partinent agreements with the potential executors on reconstructing the road within fixed time. The targeted 100 km road is the most damaged part of the roads connecting Ulaanbaatar city with the center of Khentii province. Why is Mongolia overlooked by travelers? June 26 (UB Post) There is one thing that most people visiting or living in Mongolia have to agree on: it is not the most common destination for foreigners. But most will also agree on how much of a pity that is, regarding how many incredible things the country has in store for those curious enough to go and visit it. Yet, the birthplace of the biggest emperor in history seems to not be able to fully take advantage of its wonderful landscapes, people and resources to attract a wider number of visitors. While looking for information on the internet, I discovered that this subject has already been tackled many times – but that is probably because the question is genuinely interesting to address. Mongolia pops up in every single list of "Most underrated countries in the world", and people usually give you a weird or perplexed look when you tell them you are going to visit this country: "But why Mongolia ?" – which I found rather funny at first. But the more you learn about Why is Mongolia overlooked by travelers? the place, the more you start to wonder why it does not get all the attention it deserves; and all you want to tell people is to go and see it for themselves, and then they will understand "why Mongolia". One of the things that struck me the most here was how few Westerners I encountered in the capital, in the first few days of my stay. Coming from the most visited country in the world – France gets around 83 million visitors per year, more than its population of 66 million. To say that I am used to seeing and talking to tourists is an understatement. In Mongolia however, I considered it to be a lot if I saw more than three or four foreigners a day. I have to admit that I expected a lot of things when coming to Mongolia, including the fact that there were not many tourists compared to other Asian countries like its neighbors Russia and China, or even Thailand or Malaysia, which receive a fair amount of visitors each year, but I did not think it would be that noticeable. Then, another thing really surprised me after my first week and my visit to the National Museum of Mongolia. As I left the exhibition, I saw two huge groups of French tourists, docilely following their guide as they were about to enter the museum. And from that moment on and during the last three weeks, I kept hearing French in the streets and kept bumping into people from my home country, which left me to wonder: in the very small amount of people visiting Mongolia, why does it seem that so many of them come from France? Having visited Iceland last year and encountered lots of French tourists as well, I was not too surprised to find that the number of documentaries on TV and reports in travel magazines about Iceland that we get at home had skyrocketed in the past few years. But apart from some extremely rare TV shows about travel which talk about Mongolia, there is nothing else that advertises the country in France. Now, the tourism data on Mongolia is quite unclear, as the World Bank estimates a total of 393,000 people visiting the country yearly, but a part of these visitors is believed to be Chinese construction workers coming to Mongolia on a tourist visa, which reduces even more the actual number of tourists. However, a few things that restricted people from coming to Mongolia are set to change in the future. The very low amount of proper infrastructures for tourism is one of the major issues regarding tourism here and makes travelling in Mongolia quite expensive and almost impossible to do without a travel agency; and the fact that Chinggis Khaan Airport currently only has direct flights to and from nine locations in the world is perhaps another important thing to bear in mind when pondering the opening of the Land of the Eternal Blue Sky to the rest of the world. But the new airport that is in construction at the moment and supposed to be completed next summer, 52 kilometers away from Ulaanbaatar, is set to be bigger than the current one and have more connections, which is likely to help boost tourism in Mongolia. As I asked a large range of people here about their decision to visit Mongolia, I often got one similar answers: "I wanted something completely different." Most travellers and volunteers coming here do so in order to find untouched, pristine nature, are attracted to the people of Mongolia, and are seeking an adventure that they are unlikely to forget any time soon. They are looking for one of the last places on earth that remained truly authentic. Yet it cannot be denied that tourism also has its bad sides and can harm places, the environment and local populations: it had become very common to hear people disappointed to see how Phuket in Thailand and Bali in Indonesia have changed, mainly because of tourism. Ibiza, in the Mediterranean Sea, is another gorgeous little island that yet nobody has really seen and paid attention to, obsessed with the party and alcohol reputation that it has now. So what can we wish for Mongolia? Well, perhaps it is already on the right path: it is often said that the country has to be "deserved", as you do not visit it like any other touristic place in the world. You need to be open, curious and up for an adventure, since most of the interest of Mongolia lies in its outdoors and its gorgeous sceneries. Be it regarding culture, friendly locals, spirituality, nature and the wildlife, Mongolia has a huge range of incredible experiences to offer. And even if the numbers are on the rise, the fact that it only attracts a small amount of people is maybe not too bad in the end, as it prevents the country from the drawbacks of mass tourism – and quality is better than quantity. June 29 (CNN) When photographer John Feely booked his first flight to Mongolia, he picked the furthest airport from the capital, Ulaanbaatar. He went to remote western Mongolia, searching for a fresh experience in life. His time in Mongolia became the inspiration and basis for his ongoing project, "The Outsider." During his first two trips to the country, Feely stayed in remote and traditional locations.